they also buy and sell all kinds of second-hand things for a post-war population still living on a shoestring. There was a similar shop to this in the English town where I grew up. A trial fitting of the floors has given me ideas for a slightly different interior plan, especially on the top (attic) floor. Up there the lodger’s room must share the overall space with the bathroom, which means adding an extra partition at the top of the stairs. Luckily, there is a tiny loft space in the apex of the roof that solves the problem of where to put the water tank. The tank will remain dry – I’m not taking reality too far! 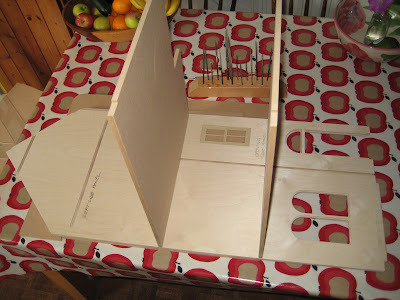 Seeing the floors in position, I’m reminded how closed-in dolls house rooms can seem and how important it is to have a well-planned lighting layout so that the rooms don’t turn into dark little caves. In Decorative Dolls’ Houses, Caroline Hamilton (who co-founded the Kensington Dolls House Festival) gives loads of hints on both lighting and creating illusions of space. Of all my dolls house books, I’m finding this one the most inspirational at the moment. It was published by Ebury Press back in the 1990s but there are used copies available on sites such as www.abebooks.co.uk. I’d recommend every miniaturist to get their hands on one, it's guaranteed to fire you with enthusiasm. So, as you can see, I’m still very much at the thinking and planning stage, though I hurried outdoors in the recent fine weather to give the MDF a coat of primer on both sides – very whiffy, and best done outside or with doors and windows open. 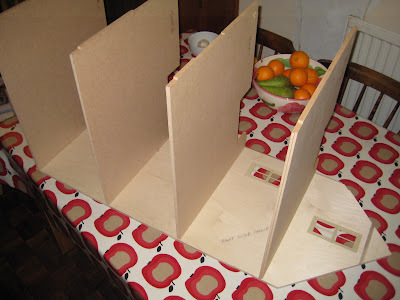 The plywood sides and front will be sized with a coat of PVA glue in preparation for the fibreglass brick cladding bought from Jennifer’s of Walsall last Sunday at Epsom Racecourse. I’d studied all the options beforehand. Standard brick paper’s too thin; brick slips are expensive and have to be applied one at a time; and brick compound impressed with a stencil is something I just know I’d get in an endless mess with. 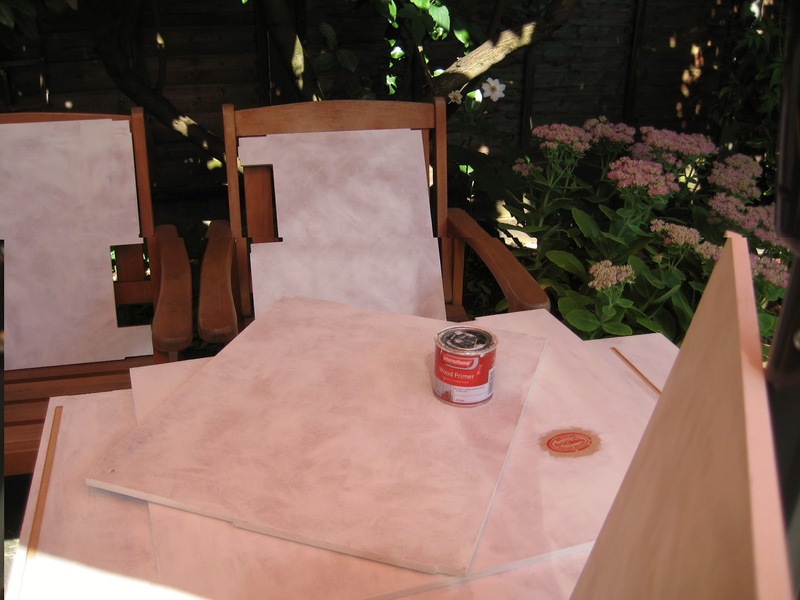 My solution was six sheets of Jennifer’s Red Flemish Bond, see www.jennifersofwalsall.co.uk, and I love the darkened brick tones with a slight hint of sootiness (the Clean Air Act of 1956 was still eight years away).